US equities closed very significantly lower, sp -36pts @ 2000 (intra low 1991). The two leaders - Trans/R2K, settled lower by -3.1% and -3.3% respectively. 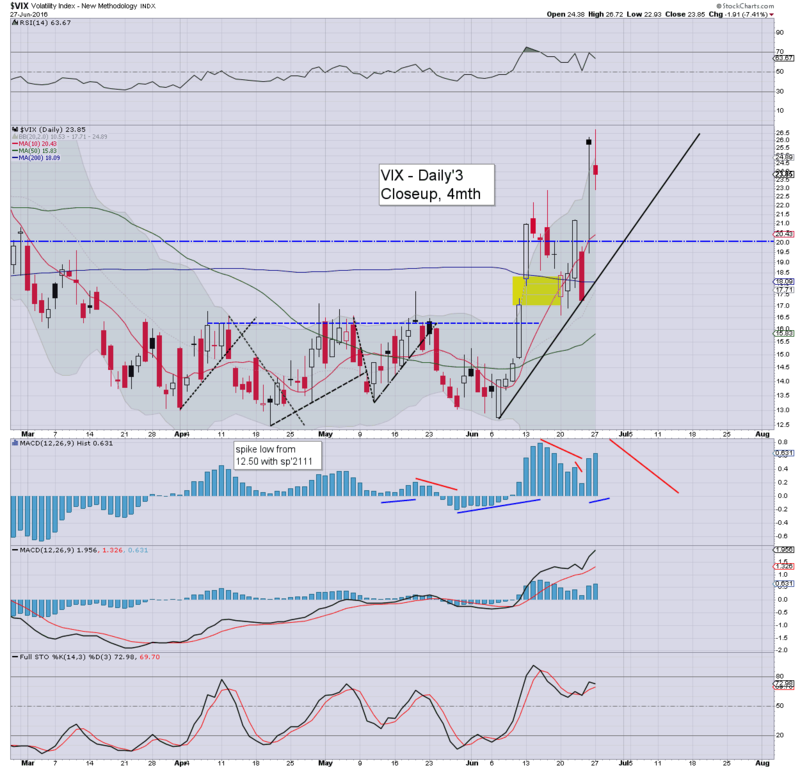 VIX settled lower by a notably 'odd' -7.4% @ 23.85. 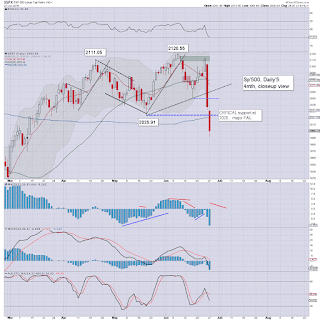 Near term outlook threatens the sp'2030/40s - with VIX 21/19, before 1950/25... with VIX 28/32. 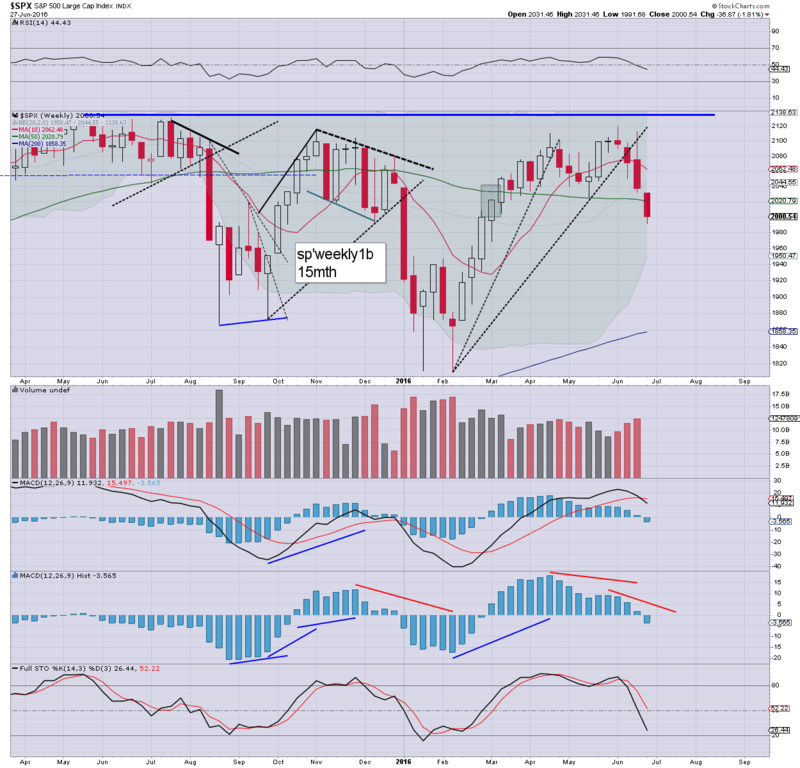 Last week's set of weekly candles were absolutely clear.... bearish engulfing... spiky tops.... offering downside of 3-4% this week. 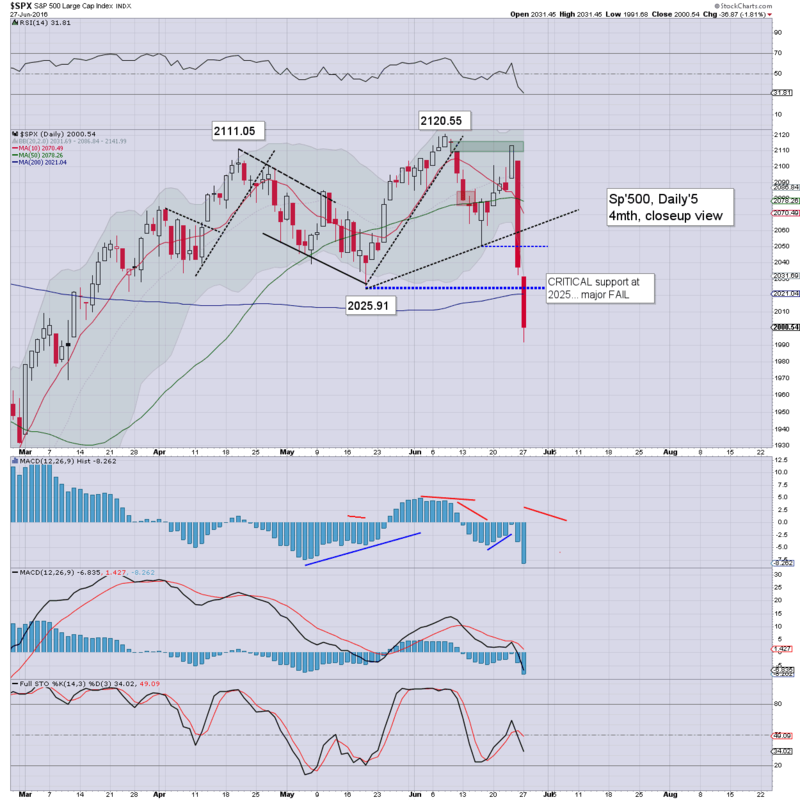 This morning's declines took out an array of key supports, 2025, the 200dma, and the giant psy' level of 2K. Further downside to the 1950/25 zone remains valid by the weekend. Most notable today, despite sp'1991, the VIX never reflected the equity weakness... opening a touch lower... and only hitting 26.39. 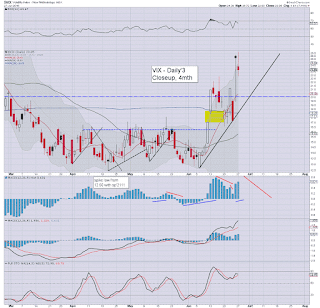 It would seem if sp'1950/25... VIX 28/32. The 40s look well out of range in the near term. 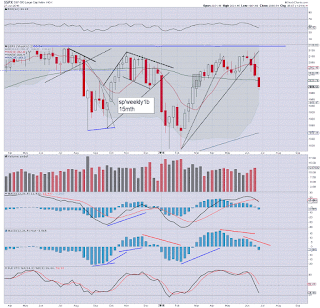 Note the lower bollinger band @ 1950, and that is a very valid target for this week. Note the red 'elder impulse' candle', the first red one we've had since February. The lower bollinger is offering the 1920s in the near term. 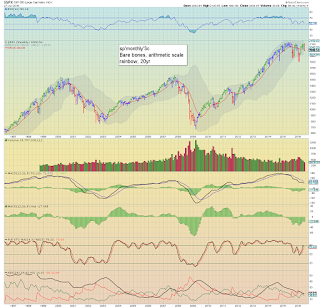 From a grander multi-decade perspective, the deflationary doomer bears need a monthly close <1500 to have any justification for calling for sp'400 or Dow 5K - as I'm seeing touted again. First things first. 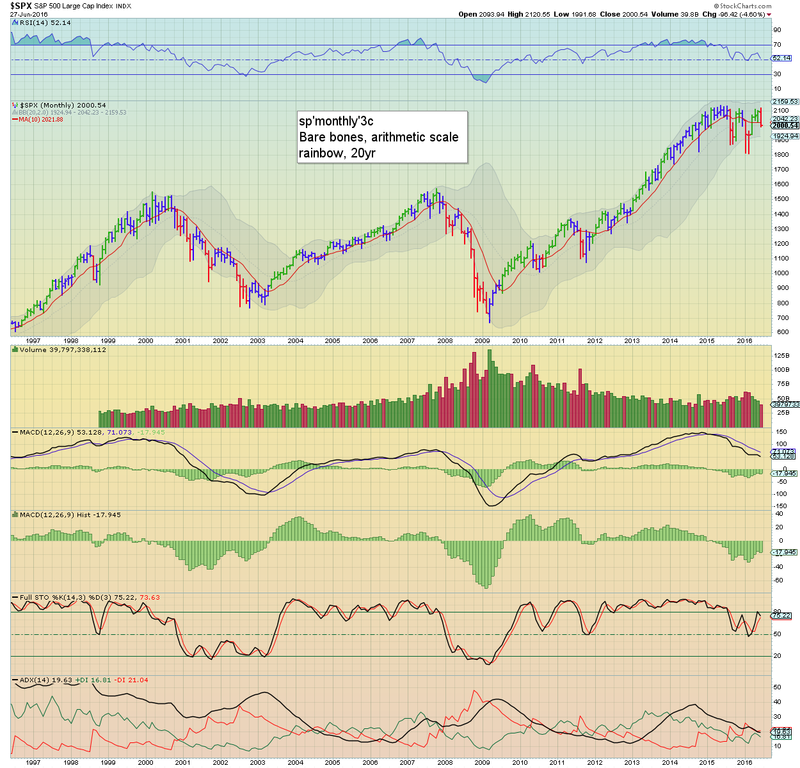 Lets see how the central banks react to sp'1700/1600s within the next 1-3 months.